Years ago, my friend Becky and I talked about opening a Hot Yoga Studio. We had attended a few sessions in Nashville and were sure this was our next calling. We even reserved the name “Some Like It Hot” because honestly, is that not the best name for a hot yoga studio? We would drive down to East Nashville together, attend our yoga class, grab a smoothie and all the way home chat about meditation, chakras and downward dog poses. Except for the mini-van, we were some pretty cool chicks. Unfortunately, “Some Like It Hot” never got off the ground. Probably because after googling it, we realized that those who actually taught yoga needed actual certifications — and owning five pairs of yoga pants didn’t score either of us any AP credit. “Hmmm. Well, maybe we should open an ice-cream parlor instead,” I answered. And just like that, “Some Like It Hot” shut its doors. Although, to this day, Becky and I still laugh at the fact that people often “check-in” on FB to the “Some Like It Hot” Yoga Studio Page we created. Somewhere, that studio is going gangbusters! So when my oldest, home from college, asked me to attend Hot Yoga (now in Wilson County!! ), I figured I was an old pro. I mean, I basically almost started a multi-million dollar hot yoga franchise and was only weeks away from being an instructor myself. I donned all the requisite cool chick yoga wear (which interestingly enough is exactly what I wear on Saturdays to grocery shop) and eagerly awaited the first class where I would show my 20 year old that her mom was pretty cool. Yoga mat, towel and cool persona. I was ready. First off, I don’t recall it being this hot! Granted, Becky and I only lasted about 6 weeks of being all cool and driving to Nashville. Plus, back then, I probably didn’t know what a hot flash was but now, I’m pretty sure I just experienced a 45-minute hot flash, with 20 other people, with molten lava thrown on top of me and then I was set on fire! Second off, yoga, surprisingly, is more than yoga pants and deep thoughts. It is a form of exercise! Right? Who knew? Shocker! 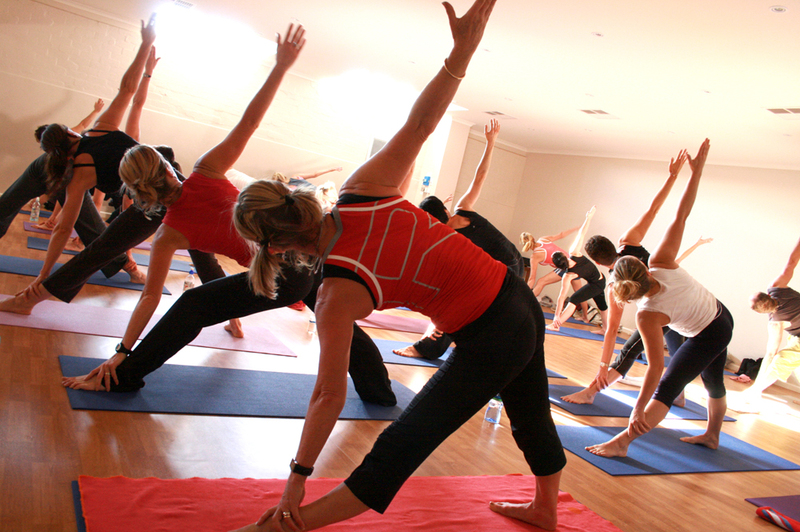 They say that when you begin your yoga class, you should set an intention as to what you will get out of the class. After the first ten minutes, my first intention was to not embarrass myself by being the girl who ran out of the room to stick her face in a fridge! My second intention was to just keep up with my daughter. Mission accomplished! And I loved every hot, sweaty minute of it. On my way home that evening, I called Becky.